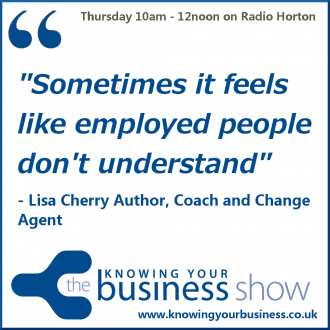 Author Lisa Cherry was our guest presenter for the show on business support. Thought we’d take some time out to hear some of her stories ….. and so much more. Also known as a coffee snob, brownie eater, soup maker, mother of teens, leftie. friend, who writes about all things recovery, homelessness, children in care, adults who have been in care and interrupted childhood. Hear the FULL interview with Lisa. Author, Coach and Change Agent. Workshop Leader, creator and facilitator of thewritingpath.com. Creator of the Whatever!® Youth Coaching Programme. If you have any questions for Lisa or would just like to leave a comment, please do.